Hannah Smith is set to become a member of the RAF, after completing her Public Services qualifications at Kidderminster College. 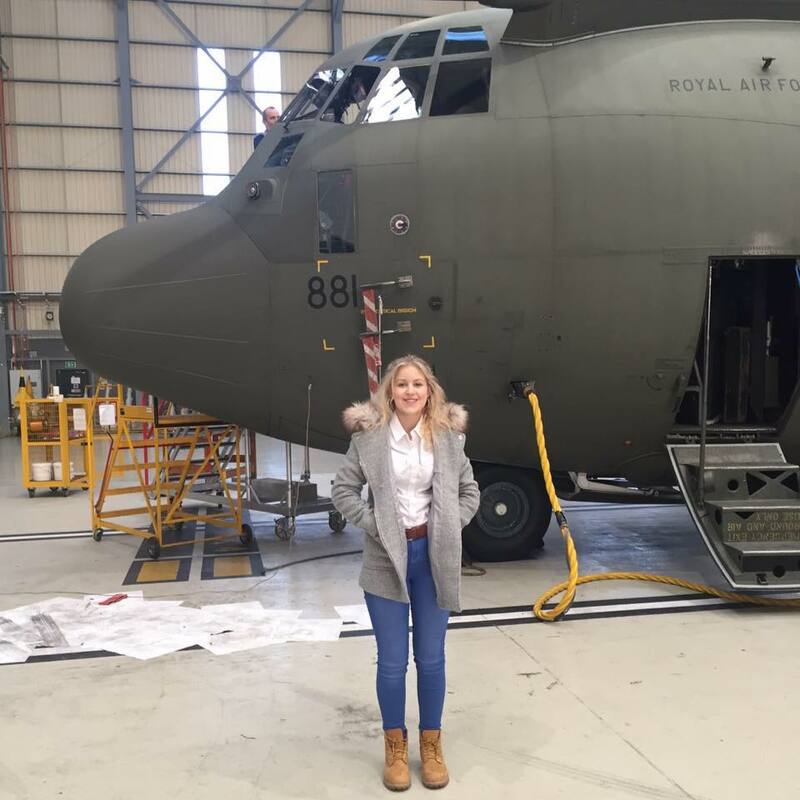 Amongst many other trips, Public Services students visit RAF Brize Norton as part of their course, where they take a tour of the station and receive information about careers and opportunities in the RAF, particularly apprenticeships and officer entry. RAF personnel give the students careers advice in policing roles, dog handling, physical training, logistics, air traffic control, catering and ground crew roles, which inspired Hannah to pursue a career in the RAF.